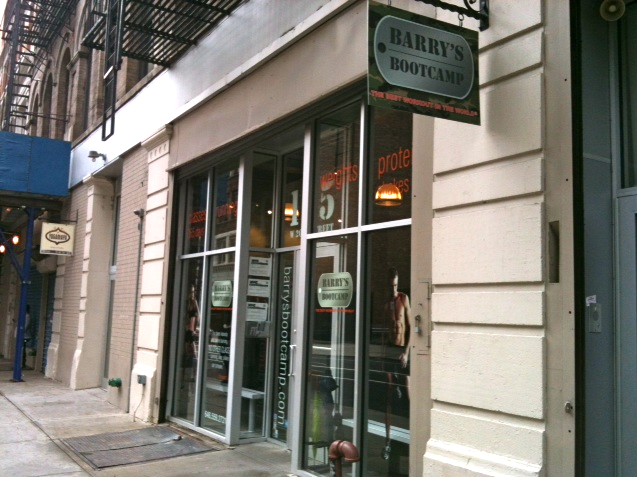 Yesterday I tried the trendy, A-list, $35 per class, “best workout in the world,” Barry’s Bootcamp. It was started in L.A. by Hollywood fitness guru, Barry Jay. It was indeed a killer workout and it might be an injury lawsuit waiting to happen. But I guess not, since they make you sign the typical waiver before you can set foot inside the studio which consists of treadmills and benches where you alternate between running and weight work. It is the closest I’ve ever come to feeling like I was going to faint or throw-up as I tried to push myself to reach what the instructor proclaimed I should be doing. When she said 7.5-9.5 MPH on the treadmill, my eyes bugged out of my head. Only when I saw that my neighbor was wisely sticking within her own limits of 6.0-6.5, did I give myself permission to stay within a range that wouldn’t have ended me up flat on my face. Just as I was thinking to myself that there was very little demonstration of technique or attention paid to our form, the instructor did come over and correct me once. But there were about 40 people there, so there’s no way she could watch us all. (Which also made it easier to take a break every now and then without getting called out on it, which they will do!) It felt a little on the dangerous side, but I’m going to go back. I guess I like to live on the edge, or at least try to push myself to my own edges. Also, I want to try the showers and the smoothie bar. If you time your locker room entrance just right, you can get to the lockers without getting squished. They put the coat rack right behind the locker room door though, so it’s also possible you’ll get injured as you hang up your coat and get whacked in the head. 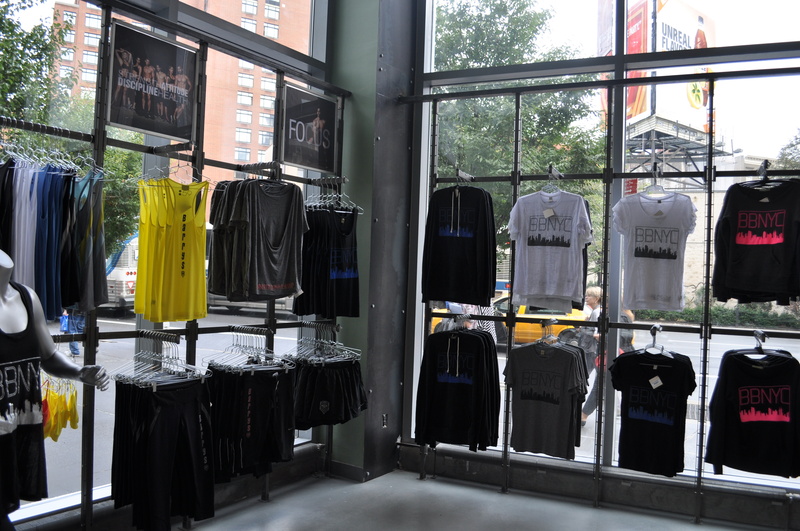 I’m tempted to buy some of the cute sportswear they sell, just so I can pretend to be part of the Barry’s Bootcamp set. It’s a buff set. I’ve never seen so much muscle in one room before. I want a few of those in my next set of after photos. But right now, since I’m so sore I can barely move, I’m going to check out Exhale Yoga for day 4.